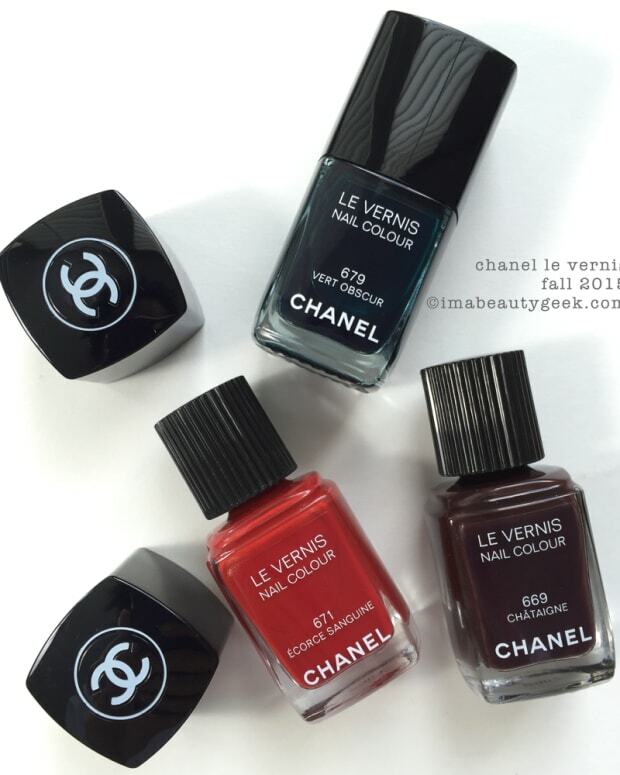 Chanel Summer 2014 swatches? Okay! 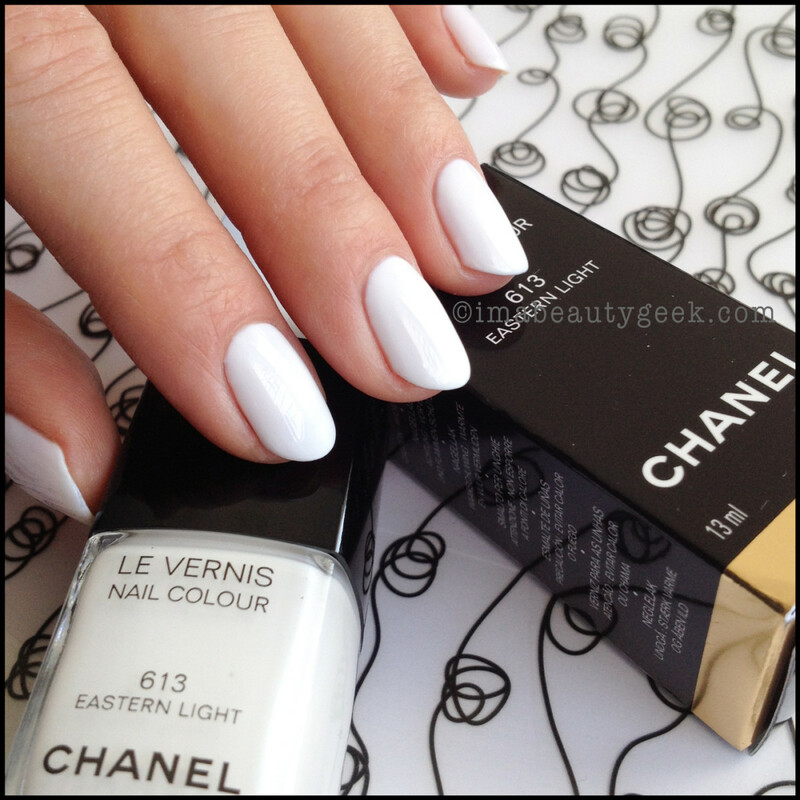 Le Vernis Eastern Light 613 and Sweet Lilac 615 from the Chanel Reflets d’Ete de Chanel Collection? Okay! 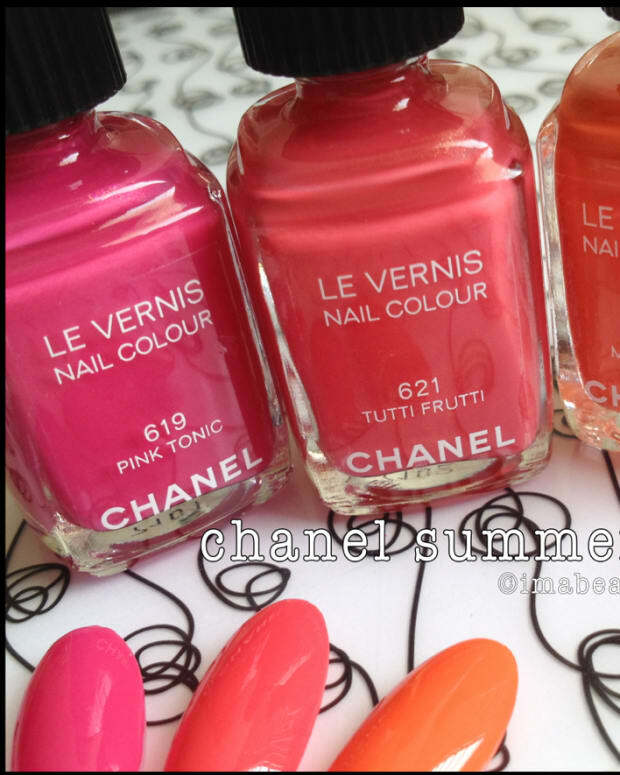 Chanel Summer 2014 Chanel Le Vernis Eastern Light 613 LE. Sure, it’s pretty. Sure, it looks perfect. Sure, I nearly tore my hair out trying to achieve perfection. When I emailed my sis to say “I want to kill it until it is dead,” she replied, “Not all Chanels can be winners.” She’s spot on. It’s pretty ’n all, but in my book, it’s not a winner. Not even close. Too much work to get to perfect. When a polish costs as much as Chanel Le Vernis does, I want the brush and the polish to do the work for me. Would I buy this one? Nope – check out that cuticle gap – Gah! 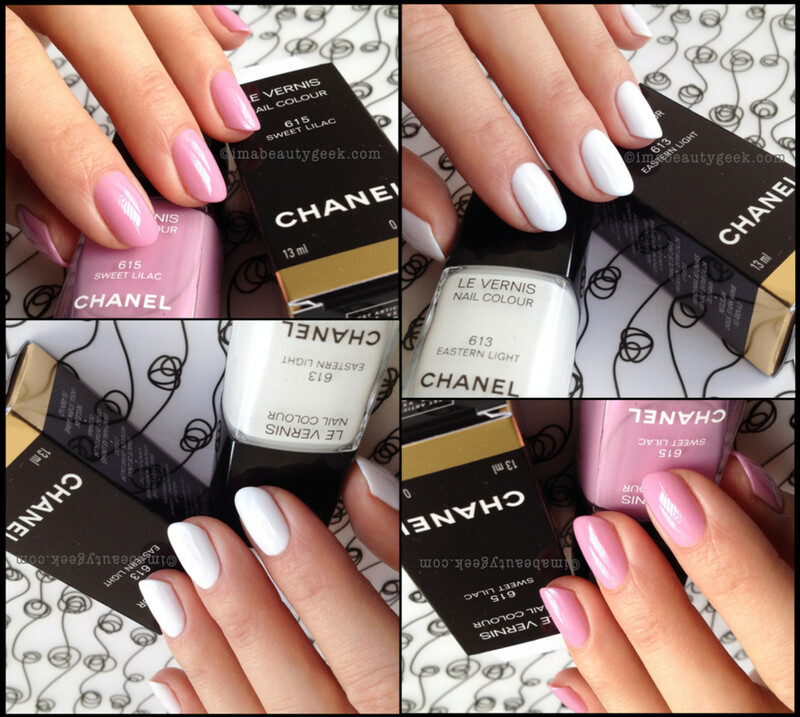 Chanel Summer 2014 Chanel Le Vernis Sweet Lilac 615 LE. People often tell me I only wear in-yer-face shades and it’s not true. The truth is they only notice the in-yer-face shades. Sometimes I wear stuff like Chanel Sweet Lilac because I adore the sweetness of it. I mean, look at it. Right? This Chanel polish is a winner in three thin coats and I didn’t even top coat. It feels like all kinds of spring to me – summer, not so much. 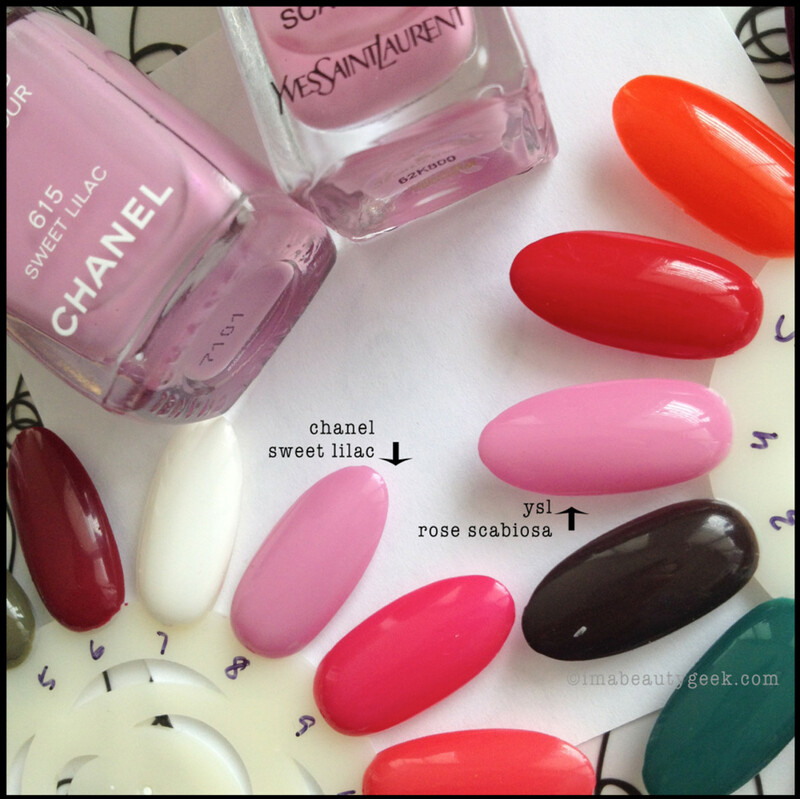 The rest of the Beautygeeks Chanel Reflets d’Ete swatches are right here in this linky thing. Chanel Summer 2014 launches in the US in late April and internationally in May. For lots of Chanel info and shopping, visit Chanel.com.